Launching in Australia in 1998, French Connection never fail to keep the brand exciting and original, pushing boundaries and always making a statement. The product listing and product detail pages are designed to convey an editorial feel and provide the best possible view of each product and set available. 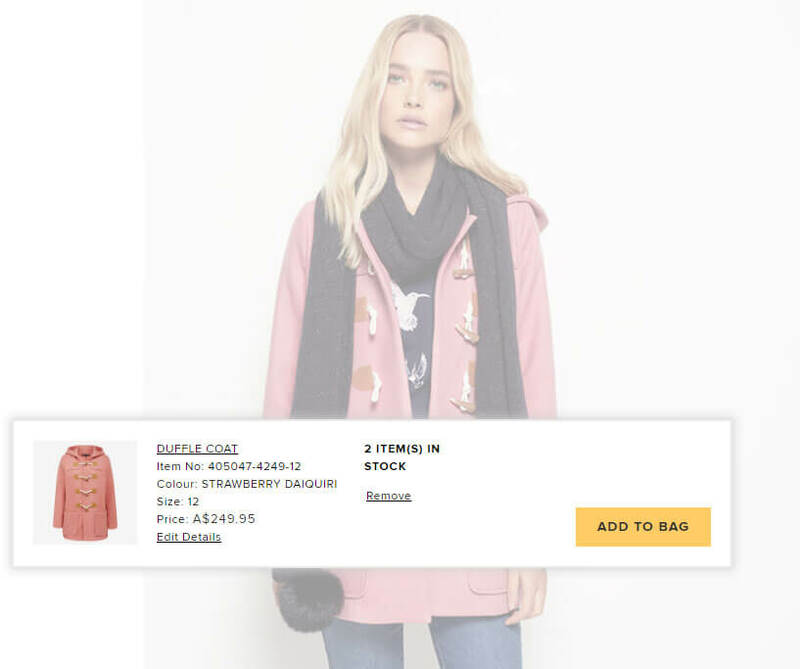 The use of predictive intelligence means that customers receive tailored product recommendations based on their shopping behaviour which has resulted in an increase in order size and conversion rate. The French Connection wishlist goes beyond just adding up a tally and saving styles for later with sharing functionality. They act as a nudge for friends and family if you have an upcoming birthday or milestone that you want to celebrate with some fab new looks. 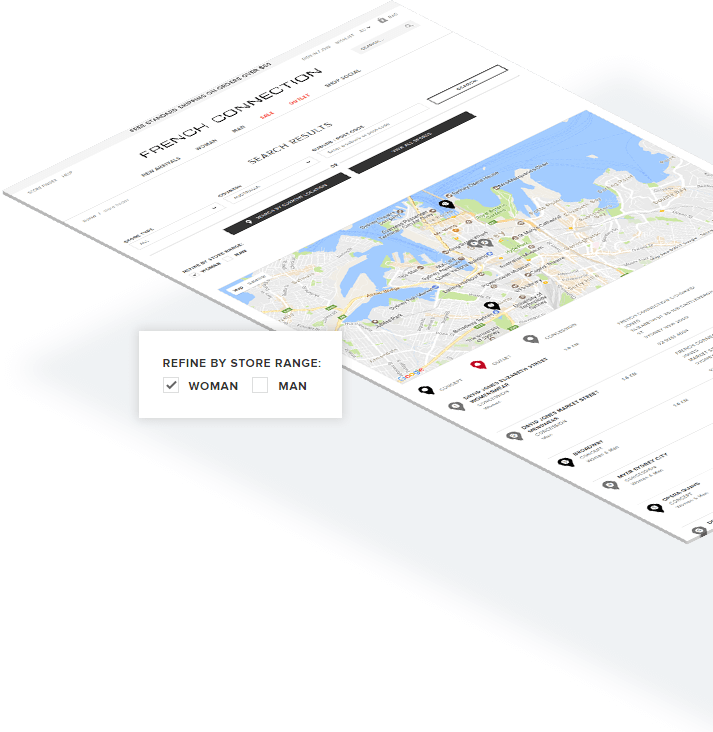 With the store locator becoming one of the most frequented pages on any website, it was imperative to ensure that the store locator was functional, useful and optimised for customers to find their closest store with ease. Results can be filtered by product offering as well as store type, being a concept, outlet or concession. 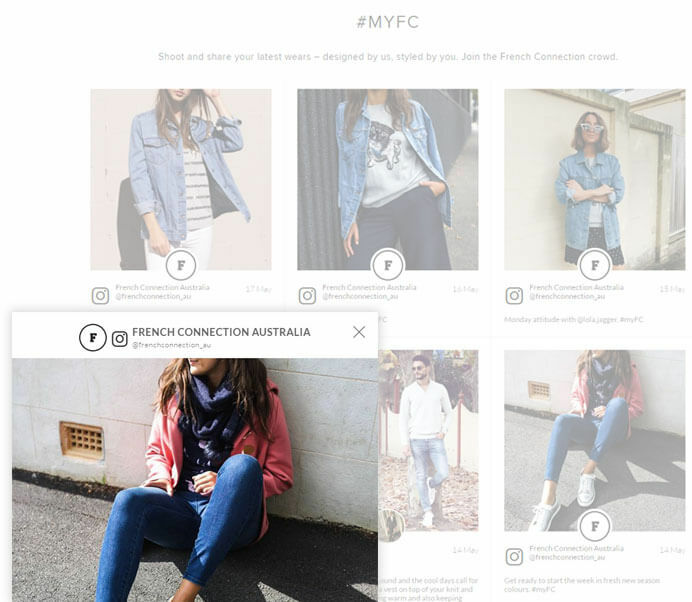 User generated content and customer images have become the strongest recommendation tool that exists for French Connection and they wanted to leverage this by implementing shoppable social feeds. These feeds seamlessly incorporate product tags with direct links to “shop the look” as featured by a loyal FCUK fan. We are delighted to be working with French Connection, one of Australia’s leading retailers, to deliver integrated, best practice, flexible and scalable digital commerce solutions.